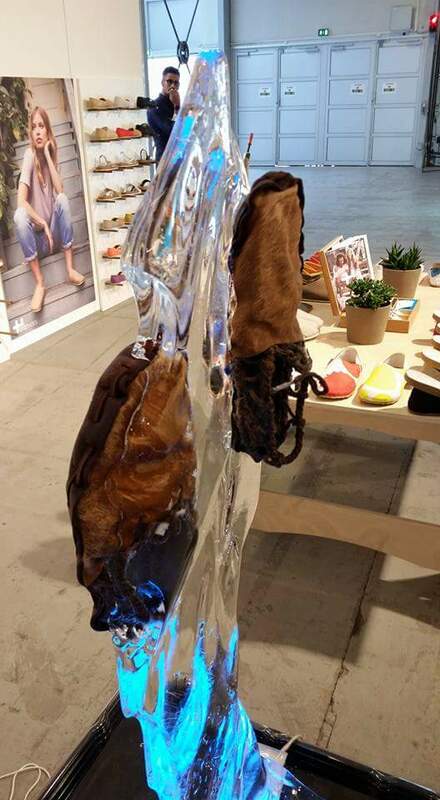 At M Ice Designs you can buy custom made ice blocks. 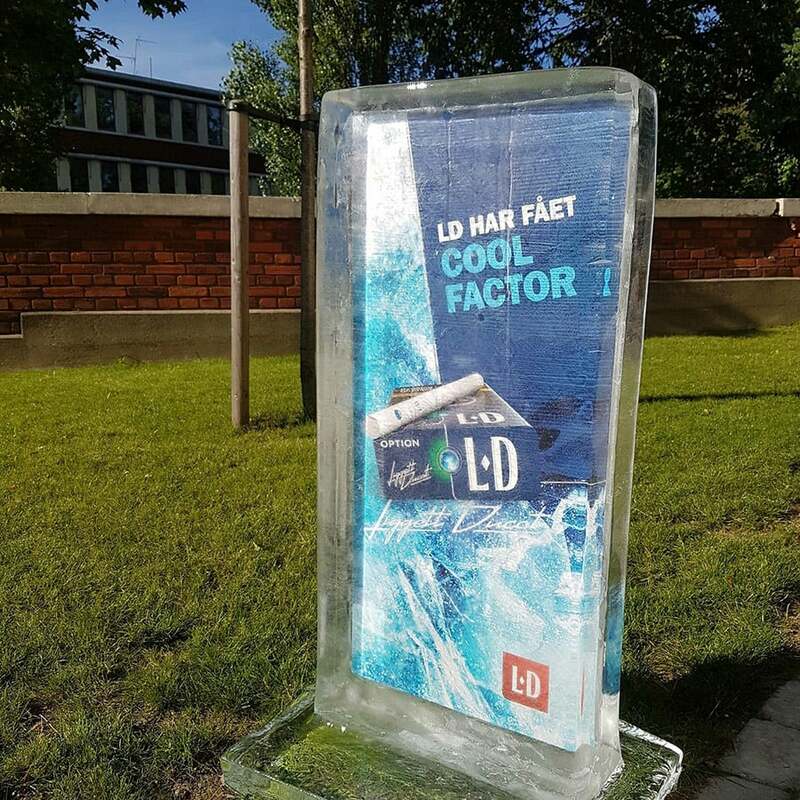 Our ice blocks are, in particular, popular in the bar- and restaurant business, as well as private helt parties, as an exciting feature. We offer clear and colored ice blocks in sizes that fits your need. 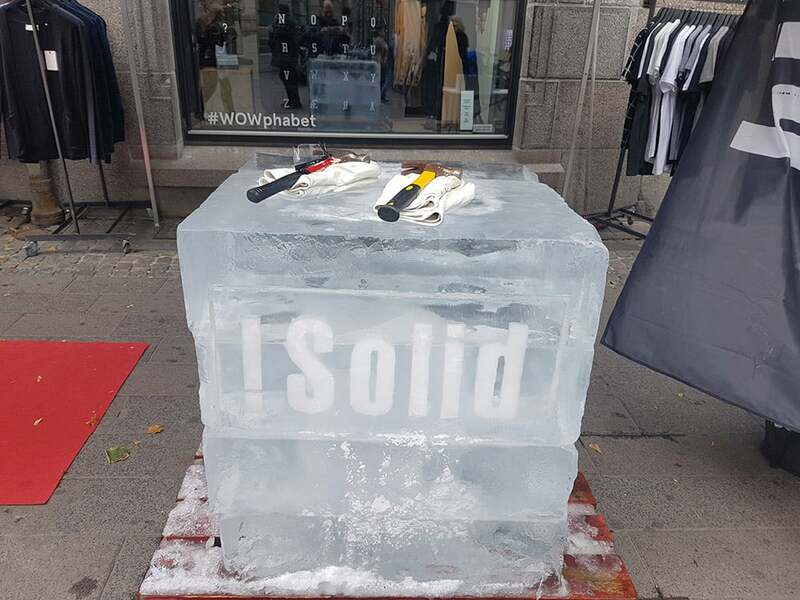 Ice Block with logo or frozen elements inside? 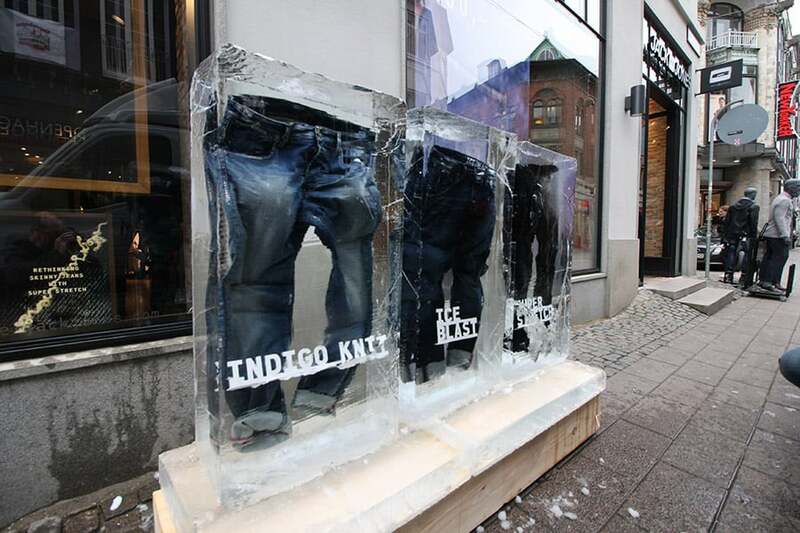 You can choose from many different variations of ice blocks. You can order a raw ice block or a more exciting and unique ice block with an incorporated logo or frozen element. 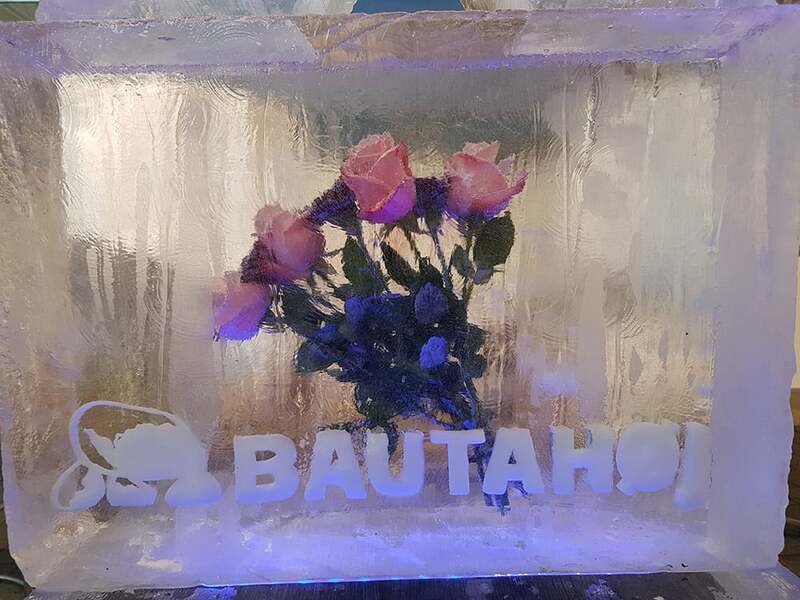 Our ice blocks are handmade and we deliver basically whatever you need you have for a spectacular ice presentation.